On the 27th and 28th March two groups of year 10 and 11 construction students from Big Wood School visited Peter Winson on site to have a site tour and talk. over the two visits the Students had chance to learn about the challenges of the project, including managing the construction works in an area surrounded by local residents. 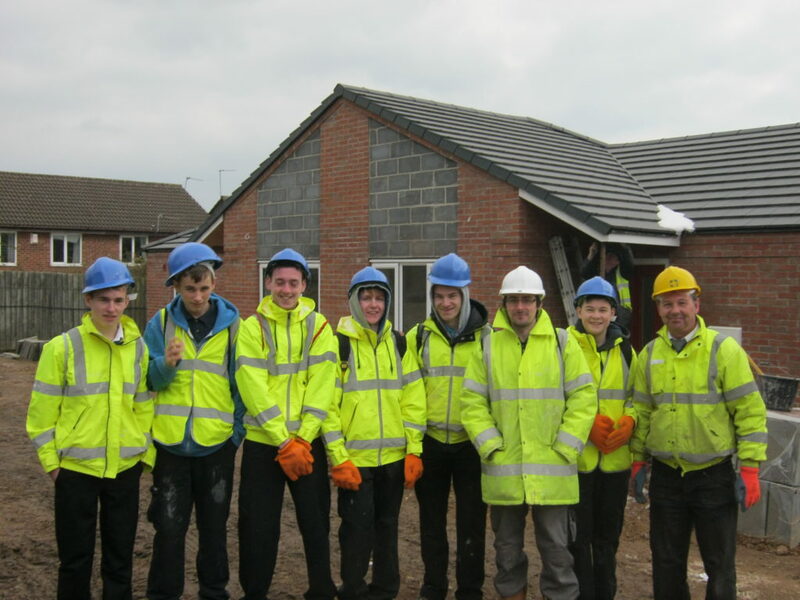 The students learnt about the Considerate Constructors Scheme, the Solar Panels which have been installed and other sustainable technologies which all help the new properties to achieve Code for Sustainable Homes Level 4. The project at Wendling Gardens is progressing well despite difficult weather conditions endured on site recently. The students may also get the chance to visit other sites which form the wider programme of works to develop 26 new sustainable homes for Nottingham.